Researchers from Kyoto University have discovered that fish oil can switch your fat storage cells into fat burning cells. Brown fat – initially thought to exist only in babies, brown fat arises from infant muscles and is designed to help keep their little baby-bodies warm. “More recent imaging data suggested that adults, too, maintain some brown fat’. Fact #2. Previous research has shown that fish oil has a number of powerful health benefits…including fat accumulation. These two facts led the scientists at Kyoto U to investigate how fish oil and brown fat cells interacted. The researchers found that mice who ate the fish oil supplement gained 5-10% less weight and 15-25% less fat compared to the non-fish oil eating mice. Fish oil intake decreased body weight (A) and abdominal WAT (B) gain in mice. Mice were fed a control diet (C), control diet containing low-dose DHA-enriched fish oil (LD), control diet containing high-dose DHA-enriched fish oil (HD), control diet containing low-dose EPA-enriched fish oil (LE), and control diet containing high-dose EPA-enriched fish oil (HE) for 10 weeks. The scientists also found that the fish oil supplements caused an activation of the sympathetic nervous system, forcing white fat cells to transform into beige fat cells. Fish oil intake induced UCP1 protein expression in interscapular BAT (A) and inguinal WAT (B). Fish oil intake also induced UCP1 mRNA expression in interscapular BAT (C) and inguinal WAT (D). Fish oil intake induced beige adipocyte-specific gene expression in interscapular BAT (E) and inguinal WAT (F). The researchers concluded that it was this transformation of white fat storage cells into beige fat burning cells that protected the lab mice from their “fatty food” diet. If you’re concerned about gaining or losing body fat…start eating more fatty fish and/or supplementing with fatty fish oils. What the Heck is Beige Fat and What Can It Do For You? Is it Possible to Transform White Fat into Brown Fat? Unlike a lot of personal trainers, I am not a big fan of weight loss supplements. However, there have always been a minority of clients that have needed some help in the form of supplements or pharmaceuticals. Unfortunately, in the past 5 – 10 years, that small percentage has been growing and growing. Whatever it is, more and more of my clients NEED weight loss supplements to help boost the effectiveness of their new diet and fitness routines. Because of this, I have put together a report of the top weight loss supplements for 2016. Starting with a list of 30 popular weight loss compounds, I used the big data of Google Trends to identify the most popular weight loss supplements as decided by the millions of people who use Google to research weight loss supplements. The projected top weight loss supplements for 2016. SO….HOW DO YOU GET THE REPORT? If you are an email subscriber to @healthhabits, you don’t have to do anything. A copy of the report should be sitting in your inbox right now. If not, shoot me an email, and I will get one to you asap. If you don’t already subscribe to @healthhabits email updates, hit the button below, follow the sign-up procedure and a report will be flying to your inbox in mere seconds. A couple of months ago Dr. Oz read one of my articles about Raspberry Ketones and decided that RK supplements were a pretty cool way to melt off excess body fat. Not wanting to keep this info to himself, he decided to do a segment about RK on his daytime tv show. And the day after that…. the supplement world went absolutely crazy with requests for RK pills. 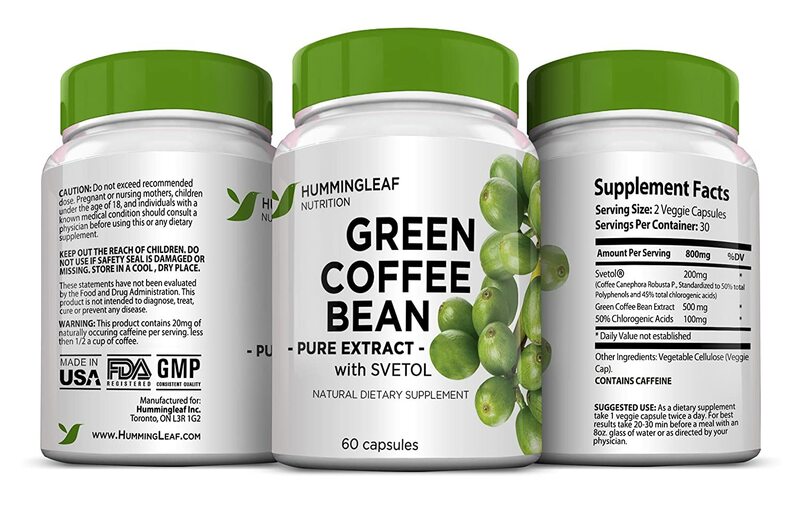 I wonder what’s going to happen when he finds out about the next big natural fat burning supplement – Green Coffee Bean Extract. There have been a number of studies over the years which showed that GCB extract had a positive effect on human fat loss. This latest study is a little different in that it is the first to investigate how different dosages of GCB extract impact the effectiveness of fat loss. Here’s what the researchers did…. Subjects received high-dose GCB (1050 mg), low-dose GCA (700 mg), or placebo in separate six-week treatment periods followed by two-week washout periods to reduce any influence of preceding treatment. Treatments were counterbalanced between subjects. Primary measurements were body weight, body mass index, and percent body fat. Heart rate and blood pressure were also measured. At the end of the study, 16 of 16 lost fat. How do these results compare to pharmaceutical fat burners? The health supplement industry is big business. Millions of dollars are spent by manufacturers on advertising and marketing. Luckily for them, billions of dollars are spent by consumers. And when you subtract millions from billions, you end up with a lot of profit. And, there’s nothing wrong with that…as long as the customer is getting the results they paid for. Q: So, do consumers get what they pay for? A: In my experience, the short answer is NO. Most supplements over-promise and under-deliver. But, not all…. These are the supplements and supplement companies that I think are worthy of your trust and your money. Note – If you are interested in purchasing any of these supplements, click on the image of the supplement and you will be taken to my Amazon store. Any purchases made through the Amazon store earns Health Habits a 4% commission. Thanks in advance. I can’t say enough good things about New Chapter. Most multivitamins and nutritional supplements are synthetic, chemically isolated nutrients that lack the natural beneficial compounds of a whole-food complex. New Chapter multi-vitamins are made with 100% organic ingredients. But, unlike most multis, New Chapter’s nutrients are food. In fact, they are a whole-food complex, rich with thousands of health-giving, whole-food phytonutrients found in nature. 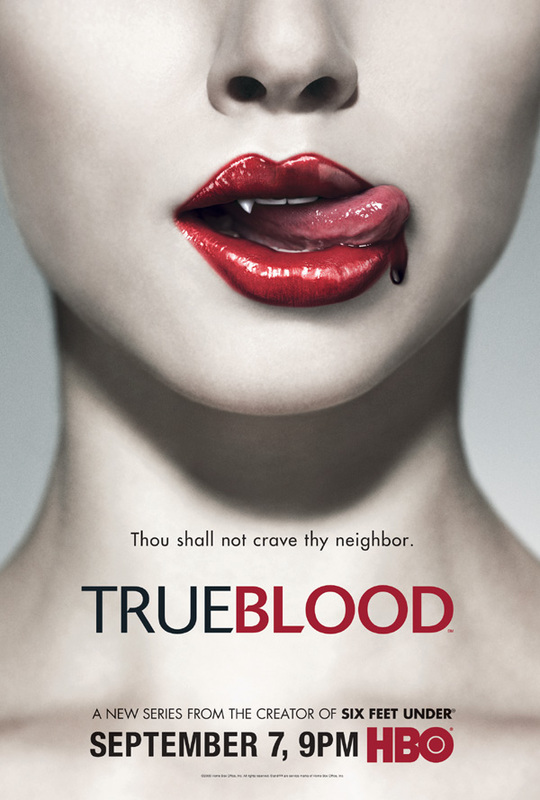 They do not believe that people were designed to eat mega-dosages of synthetic chemicals. They believe that your nutrients should come in the form of cultured whole food so that you get the full benefit of Nature’s wisdom. New Chapter’s nutrients are cultured in probiotics — the healthy bacteria every human body needs. Probiotics are naturally prevalent in select foods such as yogurt, red wine and sauerkraut. Daily consumption of probiotics boosts the immune system, increases nutrient absorption, improves vitamin synthesis, digestion, detoxification and protection from toxins. Sticking with the whole-food v.s synthetic nutrients argument, we have Vege Greens. Vege Greens is a combination of over 60 land, sea and cruciferous vegetables, as well as super green foods, EFAs, pre and probiotics, enzymes and herbal extracts. One little scoop is equivalent to six to eight servings of vegetables, and offers a full spectrum of nutrient rich and highly alkaline foods. And unlike most Green Foods, Vege Greens doesn’t taste like a mouthful of grass. And like New Chapter, the manufacturer of Vege Greens (Progressive Nutritional) has incredibly high professional standards. At this time, I would have no problem recommending any of their products. I have written often about the health benefits of fish oils/Omega 3s. oils / Omega 3 supplements, Ascenta is one of the best. They have a long track record of producing the purest fish oils on the market….that don’t taste like fish. Recently, New Chapter came out with their own line of fish oil supplements. I am currently testing this product to see if I can notice any difference in anti-inflammatory benefits. For the past few years, a number of progressive nutrition geeks have been singing the praises of Vitamin D.
Unfortunately, even with this passionate support, Vitamin D suffers from a lack of mainstream acceptance. Vitamin D has powerful health benefits and costs next to nothing to purchase. It’s a no-brainer. Researchers have found that aged garlic extract (AGE) has hepatoprotective (protects the liver),immune-enhancing, anticancer and chemopreventive (disease preventative) activities. Furthermore, AGE is a potent antioxident. It also makes your breath stink. But, not Kyolic AGE supplements. Zyflamend was my introduction to New Chapter. A few years ago, I was suffering from chronic pain in one of my shoulders. The cause of my pain? New Chapter’s patented Zyflamend formulation represents a scientific breakthrough in promoting a healthy inflammation response. After extensively researching the herbal pharmacopoeia and international medical databases, New Chapter discovered that a number of time-tested herbs, properly extracted and blended in the correct proportions, contain at least 8 phytonutrients that may safely and significantly promote a healthy inflammation response. Recent research studies suggest reducing the inflammatory response may be an effective strategy to promote healthy joint function and normal cell growth. My shoulder is all better now, but I continue to supplement with Zyflamend because of the overall health benefits associated with reducing systemic inflammation. You should too. According to the CDC, up to 90% of doctor visits in the US are stress related. National Institutes of Health adds that chronic stress may shorten life expectancy up to 20 years. Chronically high cortisol from stress disrupts endocrine, gastrointestinal, immune and neurological systems. Regardless of whether we feel stress or not, conscientiously managing our stress response, every day, positively impacts every organ and system in our bodies. In short, how you handle stress has a major impact on your health. And, if you’re trying to lose weight, get stronger, faster, etc, you are piling even more physiological & psychological stress onto your already overwhelmed immune system. But, before you get all stressed out about your stress, there is a solution. For thousands of years, people have relied upon adaptogens (plant derived agents that help to adapt the body or protect it from stress) to help them cope with life’s little stresses. These 3 adaptogen supplements from New Chapter have been unbelievably useful in helping some of my clients incorporate healthy living & eating into their lives. Those people who suffer from emotional eating receive a huge benefit from these supplements. Rhodiola is widely considered to be the most powerful of all adaptogens. Thriving in high altitudes and in nature’s most challenging climates, this most resilient herbal is intensively studied for enhancing concentration and endurance, uplifting one’s mental state, and supporting optimal immune, adrenal, and cardiovascular function even under conditions of severe stress. The third adaptogen supplement, Holy Basil, has been a staple of ayurvedic medicine for centuries. Enzymes are one of the most underutilized nutritional supplements. Without enzymes, we could not exist. Our bodies’ reactions would be too slow for life to be possible. The human body makes and uses more than 3,000 kinds of enzymes that speed up chemical reactions and save energy. Digestive enzymes are like scissors that cut up the foods we eat into basic building blocks that our body then absorbs and reassembles to build cells, tissues, organs glands and entire body systems. If our digestion is compromised then so is our health. Many enzymes on the market today are made from animal organs – hog stomach, bovine pancreas, lamb forestomach etc. These individual animal enzymes work only in a narrow pH range, and are usually only capable of digesting protein or fat. 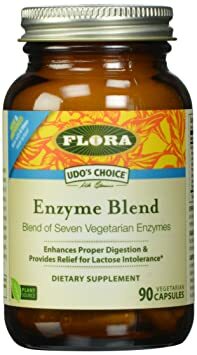 Udo’s Choice Enzyme Blends, however, are broad spectrum plant and microbially derived enzyme supplements that have a wide pH range of activity, allowing it to function throughout the entire digestive tract. I have been using Udo’s products for years after I was introduced to his flax seed oil and his book – Fats that Heal, Fats that Kill. There are several reasons that people are interested in probiotics for health purposes. First, the world is full of microorganisms (including bacteria), and so are people’s bodies—in and on the skin, in the gut, and in other orifices. Friendly bacteria are vital to proper development of the immune system, to protection against microorganisms that could cause disease, and to the digestion and absorption of food and nutrients. Each person’s mix of bacteria varies. Interactions between a person and the microorganisms in his body, and among the microorganisms themselves, can be crucial to the person’s health and well-being. By antibiotics, when they kill friendly bacteria in the gut along with unfriendly bacteria. Some people use probiotics to try to offset side effects from antibiotics like gas, cramping, or diarrhea. Similarly, some use them to ease symptoms of lactose intolerance—a condition in which the gut lacks the enzyme needed to digest significant amounts of the major sugar in milk, and which also causes gastrointestinal symptoms. 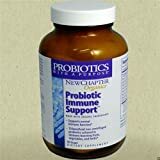 Another part of the interest in probiotics stems from the fact there are cells in the digestive tract connected with the immune system. One theory is that if you alter the microorganisms in a person’s intestinal tract (as by introducing probiotic bacteria), you can affect the immune system’s defenses. We have finished with the supplements that I think are important for your overall health. Now we move onto the specialty supplements…the meal replacements, protein powders, fat burners, etc. There is no substitute for real food. However, sometimes “real food” just isn’t convenient. So, when life gets a little too hectic, and you don’t have time to make a real meal, what do you do? Monster Milk This supplement is a true meal replacement. Loaded with fast & slow absorbing (lactose free) milk proteins, digestive enzymes, creatine, healthy fats, fiber & prebiotics, Monster Milk is a great supplement for trainees attempting to gain muscle mass or attempting to cut calories without sacrificing nutrition. But, maybe you don’t want the creatine in your meal replacement. And maybe, you’re cutting back on the carbs, or don’t like artificial sweeteners. It has the same proteins & fats as Monster Milk and it’s sweetened with stevia. And it tastes way better than most other meal replacements / protein powders. 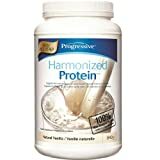 Harmonized protein is produced by Progressive Nutritionals. Unlike the other protein powders / meal replacements, HP doesn’t market to the bodybuilding demographic. They are all about health first. Harmonized Protein is a synergistic blend of 5 unique proteins (whey isolate, whey concentrate, milk protein isolate, colostrum & lactoferring) designed to offer an array of health promoting properties beyond that of any individual protein source. The cattle that produce the milk used to create these unique proteins graze in open pastures and are raised without the use of hormones, including rBGH. New Zealand proteins are considered to be the cleanest and purest in the world. They do not contain antibiotics and are routinely screened for over 250 agricultural and chemical contaminants including pesticides, fertilizers and PCB’s. If you’re not taking creatine, you are making a big mistake. speeds up post-workout recovery rates. Creatine’s ability to enhance energy reserves in muscles comes from its ability to increase muscle protein synthesis, while simultaneously minimizing protein breakdown. This occurs because creatine has the awesome effect of super-hydrating muscle cells with water. It also enhances muscle growth – making muscle fibers bigger and stronger. Warning – Cheap creatine can cause significant intestinal distress and cause some serious bloating. Allmax creatine has never let me down. Way back in October of 2008, I wrote about leucine and it’s ability to turn back age related muscle loss (buy a tub for grandpa). Leucine works best when taken with a mixed carb / protein meal. This is due to the insulin surge that comes from the carbohydrates in the meal, and the other essential amino acids that are present. The change in leucine levels in the blood seems to be more important than the overall amount. Therefore, it is better to take a small serving of leucine with a meal (level of leucine increases), wait a few hours (let the leucine levels drop), and then take another serving with some food (levels increase again). Leucine supplementation has also shown to be effective as a supplement for athletes interested in adding functional muscle mass. This supplement has worked wonders for my hard-gainers. You can’t go wrong with BCAAs. Okay…that’s the list. Feel free to hit me up on Twitter or Facebook if you have any comments, questions or complaints. Researchers from the Suzuka University of Medical Science have discovered a drug that can treat both Type 1 and Type 2 Diabetes. And as an extra special bonus, it has the ability to ward off vampires. 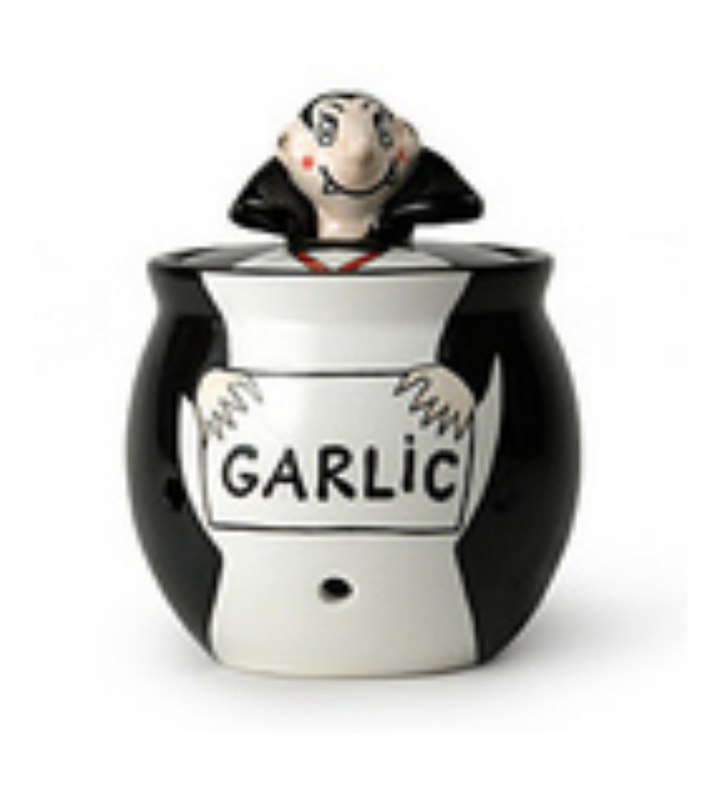 Based upon a natural chemical present in garlic (Allaxin), this drug has the ability to drastically reduce blood glucose levels. The drug works for both versions of Diabetes – Type 1 and Type 2. The drug works as an oral treatment. I think I just heard the world’s 728, 240 Type 1 Diabetics all cheering at once. New tests are being scheduled with human test subjects. On April 8, 2008, Canada’s federal government tabled bill Bill C-51, designed to “modernize the Food and Drugs Act”. The Bill “proposes to maintain a rigorous assessment of health products prior to making them available. In addition, we’re proposing to gain the ability to continuously monitor the safety of products even after they are approved”. We don’t want any tainted vitamins, herbs, etc, getting into the marketplace. And if they do, the government has taken the power and responsibility of recall from the manufacturers and given it to themselves. So, essentially what the government is doing is asking the natural health product industry to prove that their products will do no harm. Once proven, manufacturers will be able to make claims of efficacy like the pharmaceutical industry. This may even improve the business model for nutritional supplements in Canada. Vetted health claims might increase the legitimacy of the industry in the public’s eye. And yet, something doesn’t seem right with this piece of legislation. Here is my problem with Bill C-51 – What are they protecting us from? In 2006, the U.S. reported one death associated with the ingestion of vitamins. Specifically, it was an unknown vitamin & it was reported that while the vitamin played a part, it was unlikely that it was the cause of death. How they would know that if the vitamin was unknown, I will never know. Compare that to the 2006 data for Pharmaceutical deaths. The full report is here. As far as I am concerned, that should be the end of the story. The government has no business creating a problem where none exists. The (CHFA) Canadian Health Food Association’s submission to the House of Commons.